There were some serious battles along the offensive line this spring. We saw redshirt freshman Boe Wilson get some snaps at the right guard spot in place of Tanner Farmer, but the fall has been relatively quiet for positions battles. There has been one spot though, where things have gone back and forth since the spring. Sophomore Michael Decker and junior Cole Conrad battled for the position, but Conrad ultimately won the job, being named the starter by Mike Cavanaugh last week. It might have been a mild surprise to Conrad, who didn’t think he had the better spring of the two players. Conrad spent all of his time at tackle during the 2016 season, starting the final five games of the season as David Knevel was slowed by injury. 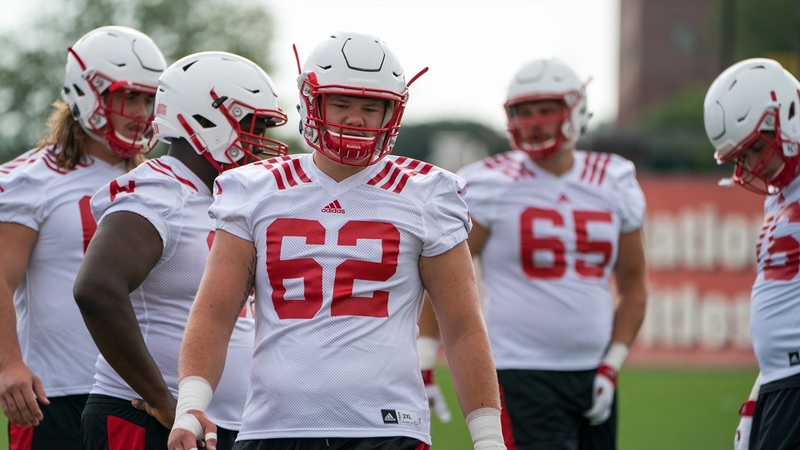 It was also the position he spent all of his time at in high school and about half of his time practicing at this spring before the Nebraska staff moved him to center. That’s part of the reason why Conrad felt Decker might have held the edge in the position race entering the summer. But don’t mistake a position switch for inexperience. “[Snapping] was the thing I kind of struggled with first off,” Conrad. “It’s not just lining up and blocking a guy. You’ve got to snap the ball and then go find a guy, find who to block. [It’s] recognizing what the defense is doing and making your calls. Now Conrad will get to prove himself worthy of being the anchor and quarterback of the offensive line. Yet another walk-on success story at Nebraska. It never quite gets old.